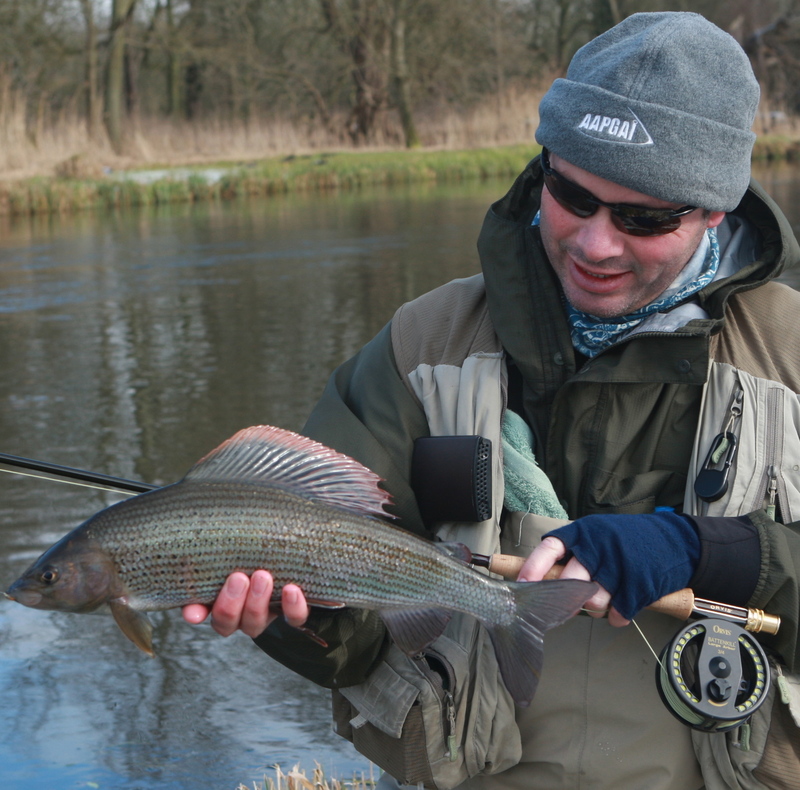 throughout the colder months, grayling can provide us with memorable sport even in the depths of winter. If blessed with kind weather then flurries of Large Dark Olives or small Stoneflies should keep grayling looking up during October and November. Now, slender CdC dressings or parachute patterns will score. As for those preferring wet flies, look no further than a brace of waterhen bloas and perhaps an orange partridge, or snipe & purple. Conversely, when faced with extreme cold, or high water, weighted nymphs are likely to be our saviour. Such heavy bugs are best presented using rods of 10 feet and even longer, as these afford superior line control over the business end of things. 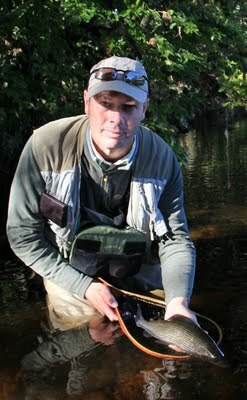 Fairly widespread, grayling can now be found in many UK river systems. However, those worth trying north of the border include the Annan, Clyde, Tweed and Teviot. Naturally the Dales rivers in Yorkshire should also be considered with the Wharfe, Ure and Swale always proving popular. Let’s not forget a clutch of Welsh rivers either, in particular the Dee, Severn and Wye have produced some thumping specimens over the years. Those lucky enough to spend a day on the southern chalkstreams will often find grayling in a receptive mood as more stable water temperature promote longer feeding periods for this graceful fish.